Say goodbye to countless hours of decorating your house! Say goodbye to dangerous ladders, staple guns and cold weather! Say hello to the next generation of Christmas decor. Amaze your family, friends and neighbors with these breathtaking lights. Simply plug into a wall outlet, mount the laser in your yard and aim. You are now done with your Christmas light setup for the season. Fancy and colorful lights, it can scattering thousands of colorful light beam under mist, romantic and fairyland. Safety and Waterproof: Each point containts poor laser light (less than 1mw). IP65 waterproof designed, durable for use. Effects: more than 1000 static points,Laser light field covers up to 40ft x 40ft area. Replaces 4-6 standard landscape lights or hundreds of feet of rope lighting. ✅ 1 Year Warranty: Since the day of purchase, please feel free to contact us when you need help. ✅ RF Wireless Remote Control and Timer: The effective receiving distance of infrared remote is about 15 meters. You can freely control timer just through press 2h/4h/6h/8h hours On. ✅ Multiple Modes: Allows it to display thousands of Red and Green stars combination, or separated Red / Green star sparkling automatically. 2 lighting Modes are allowed. ✅ Wide Coverage, High Brightness and long Cable: It can cover 20ft x 20ft area and reach the area which general decorative lights cannot. Uses 99% less energy than regular string lights, Low-voltage transformer with 19ft long cord. ✅ Waterproof and Safe: IP65 class waterproof designed, long life, safe light points, each point less than 1mw, feel free to buy it. View More In Decorative Lighting Projectors. If you have any questions about this product by tepoinn, contact us by completing and submitting the form below. If you are looking for a specif part number, please include it with your message. 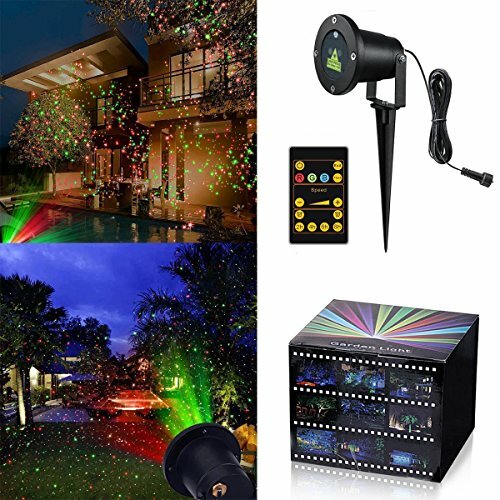 Minuano Christmas Led Projector Lights,Outdoor Christmas Projection,nnooLight 4 Pattern,Landscape Garden LED Lights for Various Themes Halloween, Christmas, etc.